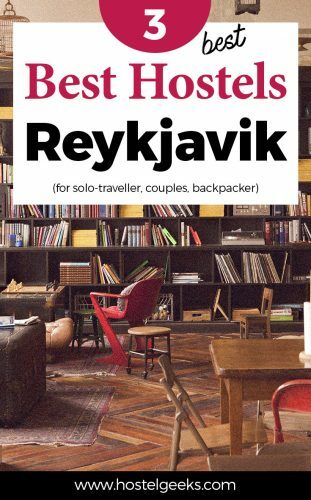 We tell you what; you won’t be disappointed with our chosen 3 best hostels in Reykjavik, Iceland. This is your insider guide to cool Reykjavik design hostels; for solo travellers, backpackers, and couples. In fact, you won’t be disappointed with Reykjavik in general. 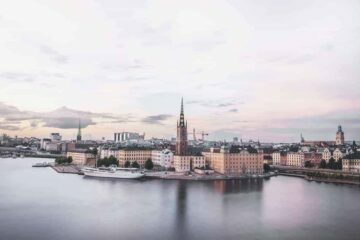 The capital ‘city’ of 123,000 inhabitants is a true Nordic treasure. There are a surprising number of hostels here in Reykjavik. We’ve strived to find you the best in town. We condensed it all to the 3 coolest hostels in Reykjavik. Having travelled to Reykjavik ourselves – twice! – We’ve gone one step further by including a section of what you need to know before you go. 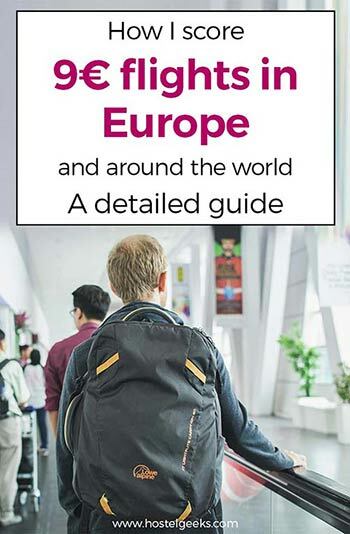 Happy commitment-free travellers should take some time to check out all of our 5 Star Hostels in Europe and all our detailed guides to “best hostels in the world“. Come on then, let’s go! How expensive is Reykjavik and Iceland: It may be no secret that Iceland is expensive. We’re here to let you know that from first-hand experience; it is! You’ll notice that hostel prices are above average. Unfortunately, this is standard across the country. Average price for a bed: A bed in a dorm can be as cheap as 27€ up to 58€ per night. 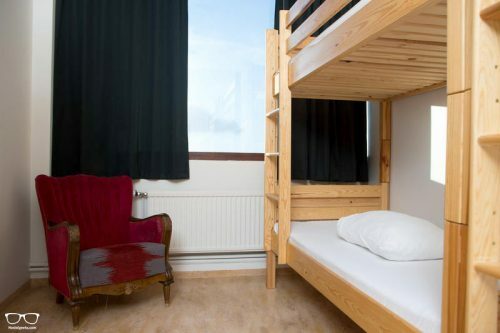 A private room in a hostel in Reykjavik can cost from 70€ up to 170€ per night for the complete room. Hostel Quality: We are pleased to let you know, the hostels here are really cool. You find most of them obviously in the capital, but some Youth Hostels are dotted around the island too. Top tip: Budget well when backpacking Iceland. Make the effort to buy and cook your own food to keep costs down. Bonus is the budget supermarket. This way your money goes a longer way. Location of hostels in Reykjavik: By the way, Reykjavik is small! 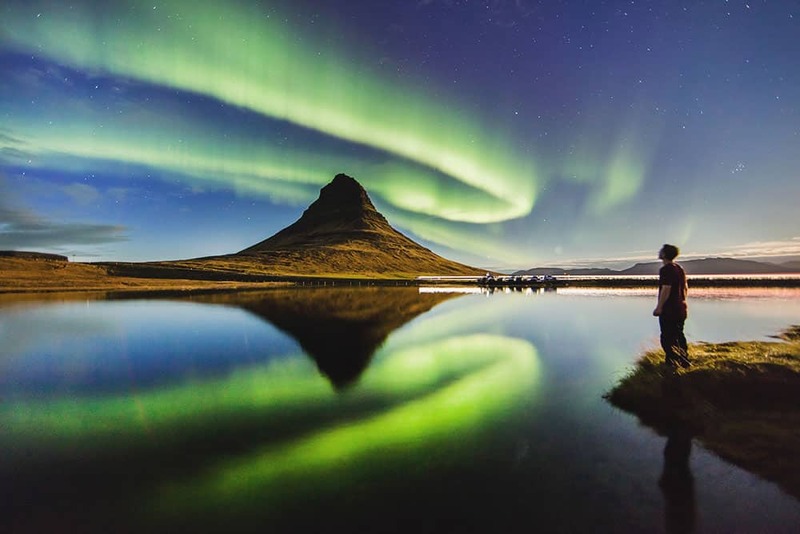 As beautiful as the city is, it’s a great idea to familiarise yourself with where in Iceland the famous sights can be found. A lot of the natural beauty is widespread, so it might be worth considering renting a car. Or, if you’re feeling very adventurous, set off on a cycle tour around Iceland like our blogger Kelly did. Lastly, it’s highly recommended to join a walking tour in Reykjavik. Auður over at I Heart Reykjavik offers wonderful tours and tons of information about the city. 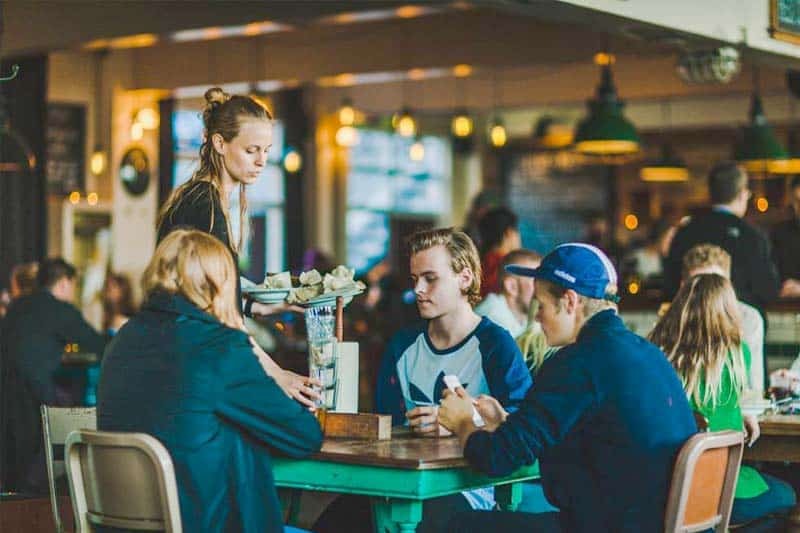 KEX is the Icelandic word for “biscuit” and a super social hostel in Reykjavik: KEX Hostel. We couldn’t have put it better ourselves. 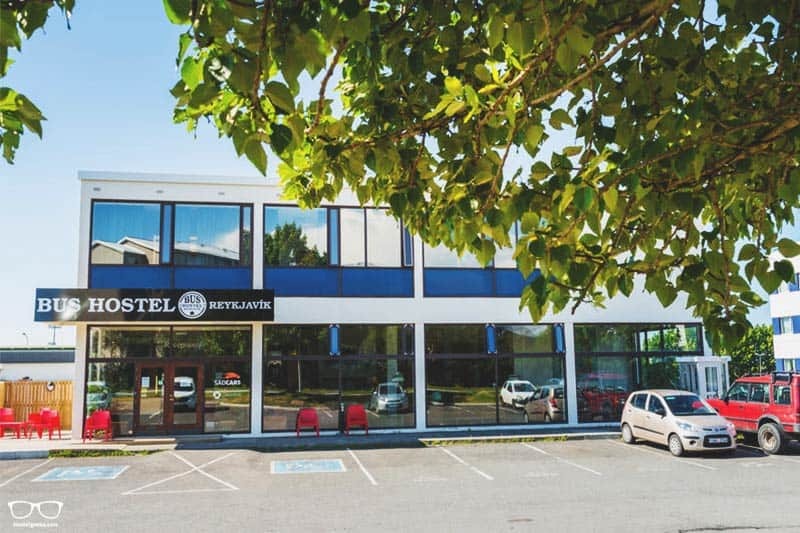 This is one of the best hostels in Iceland for sure too! 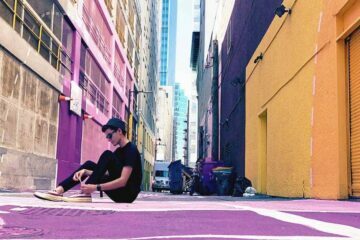 Every room imaginable is available – dorms (inc. Female only), private single, twin and double, plus family rooms. KEX can accommodate 215 people at one time, wow! SO it is a seriously big hostel. 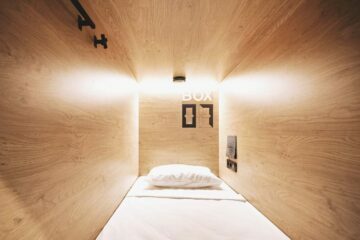 If you like more neat and intimate backpacker hostels, keep scrolling too. Good to know: cribs are available and children under 3 years stay for free. What else is there to entice you? It’s easy to believe you’ll meet plenty of people at this hostel. The warm, inviting bar and restaurant provide a perfect chill place to do just that. There is a multi-functional hall – Gym and Tonic – is available for conferences, private parties, theatre plays etc. Read: 13 Creative Design Ideas to steal! 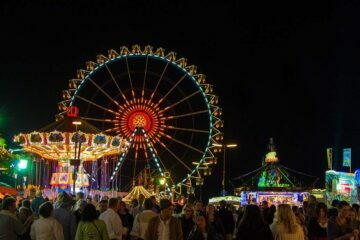 The distance to nearby clubs, music venues and shops is also painless. In fact, Sæmundur Gastro pub is at the heart of KEX hostel. This ‘not-quite-fancy yet swanky’ pub offers up Icelandic heritage grub, alongside delicious local and craft beer. It is very popular amongst locals! 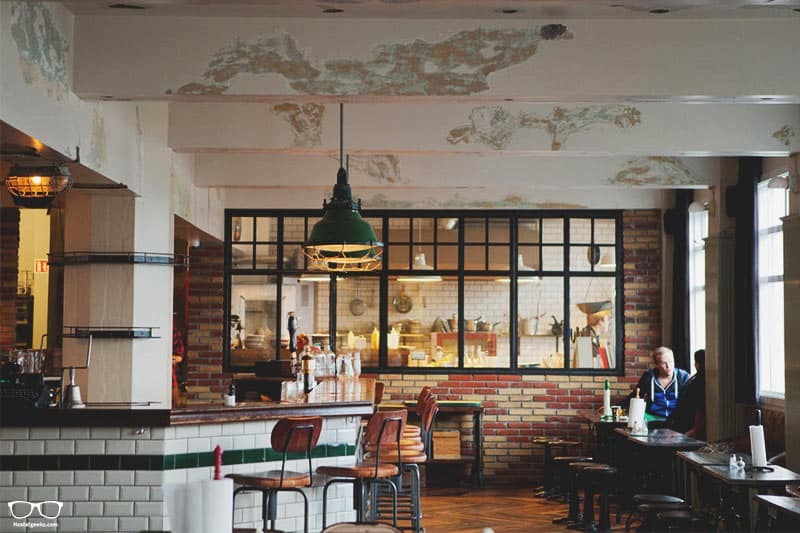 KEX Hostel is slap bang in the centre of Reykjavik, with views across the bay to Mt. Esja. 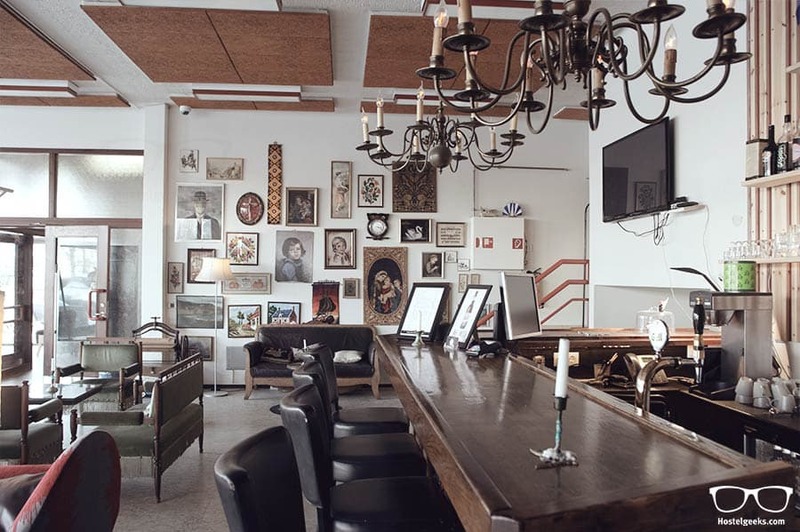 Bus Hostel is an outstanding creative hostel in a quiet neighbourhood of Reykjavik. It is smaller than KEX, a bit more intimate. The quirky, vintage design is something to be proud of. Get your Instagram ready folks! There are dorm rooms including female-only. Choose between 4, 6, 10, 16 and 24-beds. Private rooms are also available, with linen and towels included. Important: Dorms are sleeping bag accommodations. Duvets can be rented for a small fee. Update: The BUS Hostel got renovated in mid of 2018. They replaced their vintage style with a new, hip wooden style. This hostel has not one, but two kitchens. Everyone is encouraged to use the space and equipment. In the main lounge area, there’s a lovely cafe. Sit and drink your coffee, marvel at the decor and enjoy the free WiFi. By the way; reception is open 24-hours. We know you love that. If you stay here, you’ll only be a 15-minute walk from Hallgrimskirkja, the tallest church in Iceland. Major bus routes in/out of Reykjavik are a few minutes from the hostel. Check out our fun Bus Hostel travel story here. The landscape in Iceland is pretty alien, and it’s the same for Galaxy Pod Hostel. All of the dorms are made up of pods. So whether you opt for the 4-bed or 24-bed, you’ll find comfort and privacy behind the provided curtain/door. If you have never stayed in a hostel, and you want to try a hostel for the first time, make it Galaxy Pod Hostel. 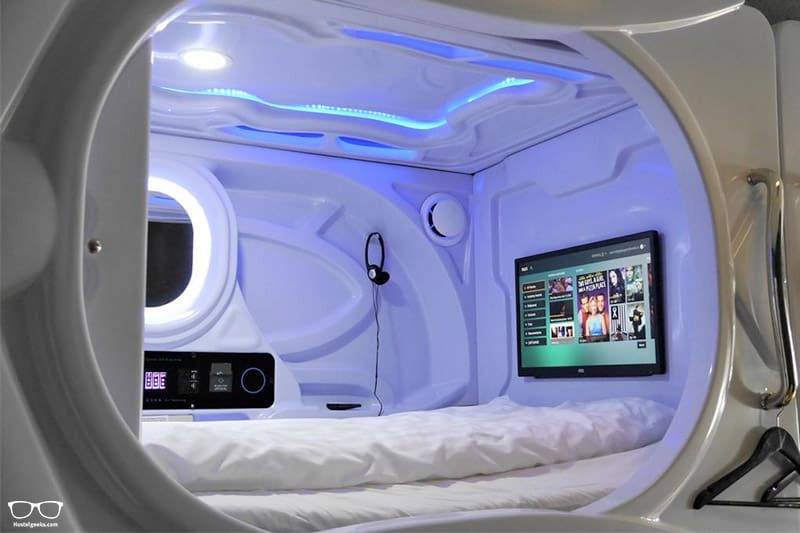 You’ll also have a safe, locker, TV, fan, linen and USB charging point inside your out-of-this-world pod. They’ve certainly thought of everything! Calling all solo women: there’s a female-only dorm with your name on it. The lounge is super nice because of the Mountain View. Good to know: Children under 12 years can share a bed with parents free of charge. Reception has set hours, but you’ll be happy to know there is no curfew. Families should visit the nearby Laugardalur just 15-minutes away. There is a swimming pool there, football stadium, gym, tennis court, skating rink, a concert hall, a baseball field, a zoo and an amusement park. The bars and nightlife are 15-minutes in the other direction. Seriously, this hostel is a top choice for families! Best Hostels in Reykjavik for Solo-Traveller? Traveling solo to Iceland? Then opt-in for a top hostel for solo-travellers. 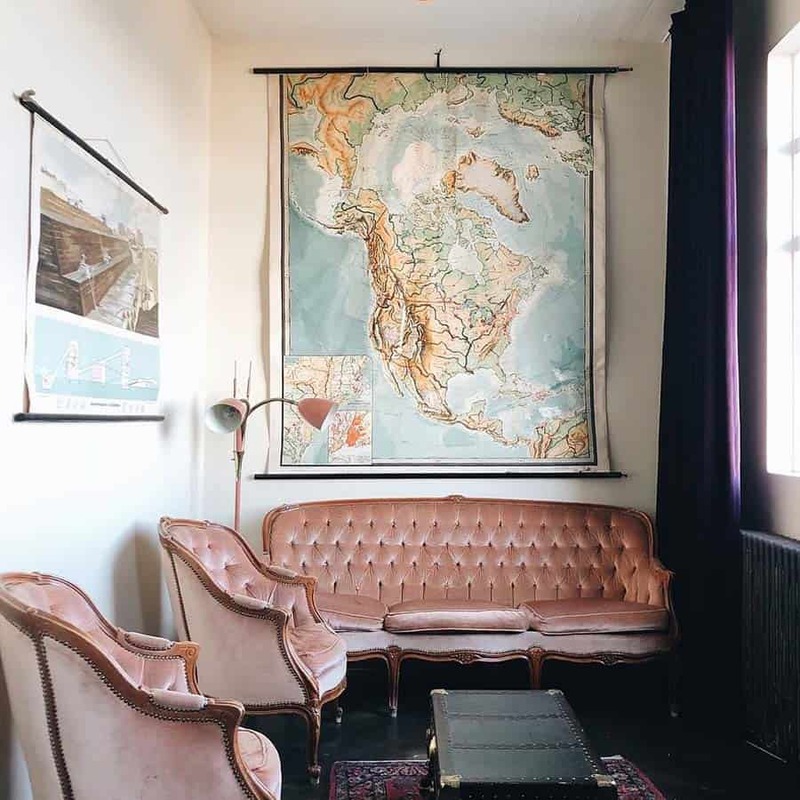 When you are into big, stylish hostels, we recommend KEX Hostel for female and male solo-travellers alike. It is super safe and hip, a top location, and really really social. There is a tiny disadvantage though. KEX is fairly big. 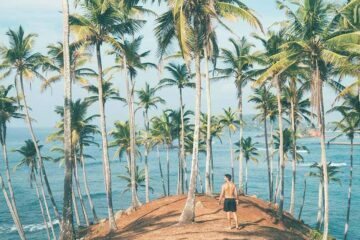 While it’s cosy and popular among locals, some solo-travellers might prefer small, and cosy hostels. In this case, we recommend our #2, the Bus Hostel. 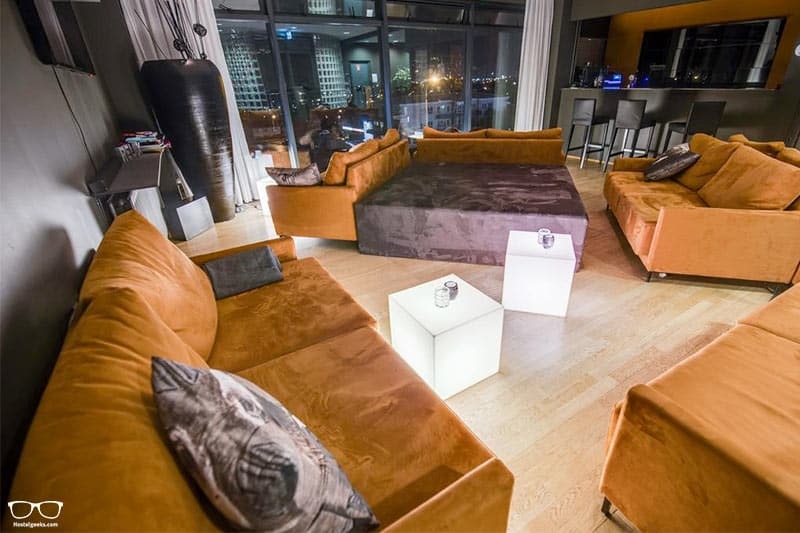 The location is still okay, it is very safe and at the same time smaller and more intimate. If you are more introverted, the BUS Hostel might be the better choice. It is not every time we recommend hostels for families. There is some destinations we think hostels are not a good choice for families to stay. KEX has the advantage of a games corner for the little ones. That is really great. On top, cribs for children until 3 years old are provided for free. Galaxy Pod Hostel on the other hand has the advantage of the playful, fun hostel. 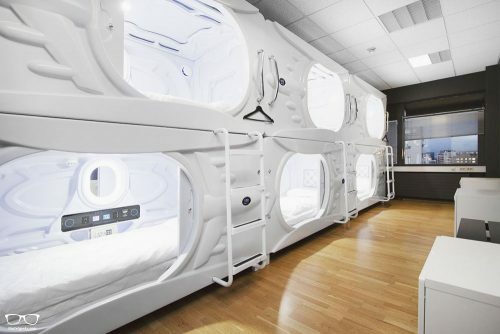 Trust us: Your kids will LOVE sleeping inside a space ship. 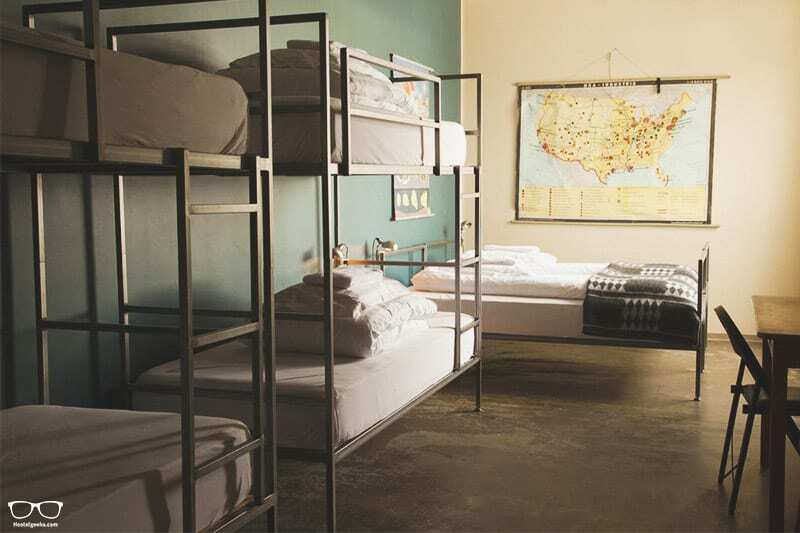 On top of the unique beds, children under 12 years can share a bed with parents free of charge. Our verdict? For kids between 3 and 12, stay at Galaxy Pod. 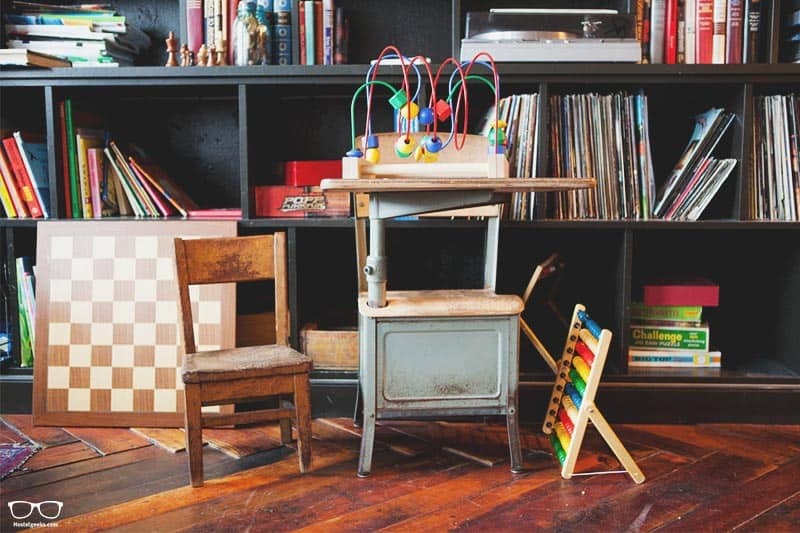 For kids under 3 years old, go with the KEX Hostel option. Currently, we have no special hostel discounts or Promo Codes for hostels in Reykjavik. We are working on getting promo codes for KEX Hostel, BUS Hostel and all the other great hostels in Reykjavik. Subscribe to our newsletter. Here we share our newest promo codes for hostels and hotels in Reykjavik first. This map is designed to make your travel planning even easier. 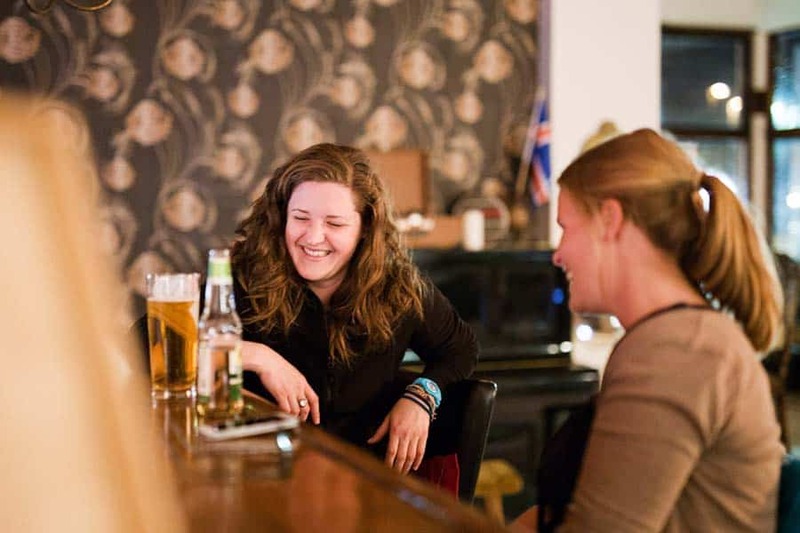 All of the hostels are pinpointed, along with top things to see and do in Reykjavik. As we mentioned before; Reykjavik is small considering it’s a capital city. It’s highly recommended you venture outside and discover the Golden Circle. Of course it’s possible during the winter to spot the Northern Lights – we hope you get lucky! We enjoy Kiwi.com to find cheap flights all over Europe including Reykjavik, London and more. This new website has super cool features like a so-called radius search. Just draw a circle over Europe and find the cheapest rates for the area. We love Reykjavik. And same the whole country, we adore our selected 3 best hostels in Reykjavik, too. It would make us even happier to know that you love them too! Got any questions? Anything not clear? Please, please drop us a line and leave a comment below. We value your feedback and it is that which allows us to provide useful, interesting information to make your planning easy and stress-free. We have been to Reykjavik, so if we can help you, we are thrilled. We will never recommend you any place we haven’t evaluated or are not convinced by. And we only share with you places we also recommend to our best friends and family!